Police officers are always protecting and serving the community in different ways – and this cop is being praised for offering two helping hands to a mother in need. Officer Robert Lofgran of the West Jordan Police Department in Utah was on hand earlier this month when a young mother and her children entered the station to file a domestic violence report. As she filed the report, Lofgran offered to look after her kids. He reportedly “spent hours” holding the woman’s baby and caring for the other youngsters. 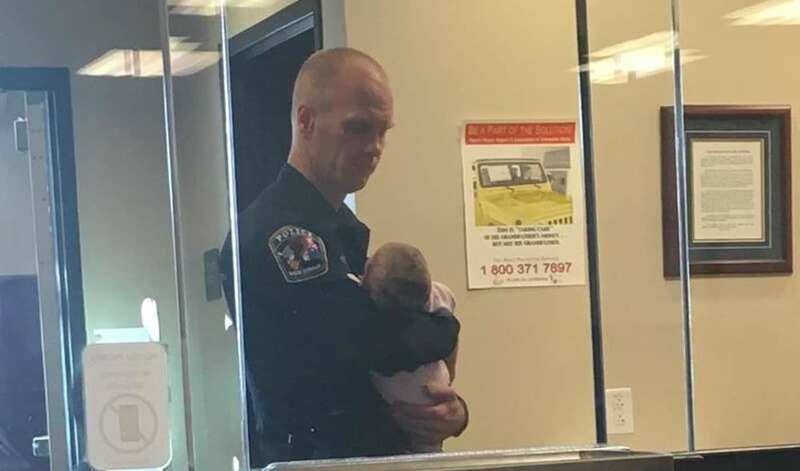 The station clerks were so touched by Lofgran’s gesture, they snapped several photos of him holding the infant and posted them to the police department’s Facebook page. Since it was published to social media, the photos have been shared hundreds of times.